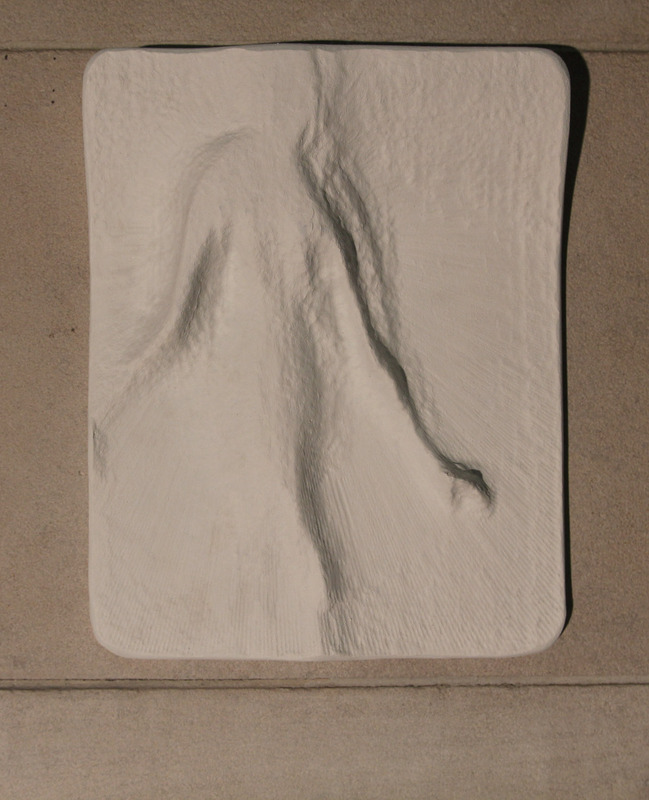 For my final project I used black and white photographs of figures behind tracing paper, translated them into height maps in rhino, printed them with the CNC and then sanded and painted their surface. 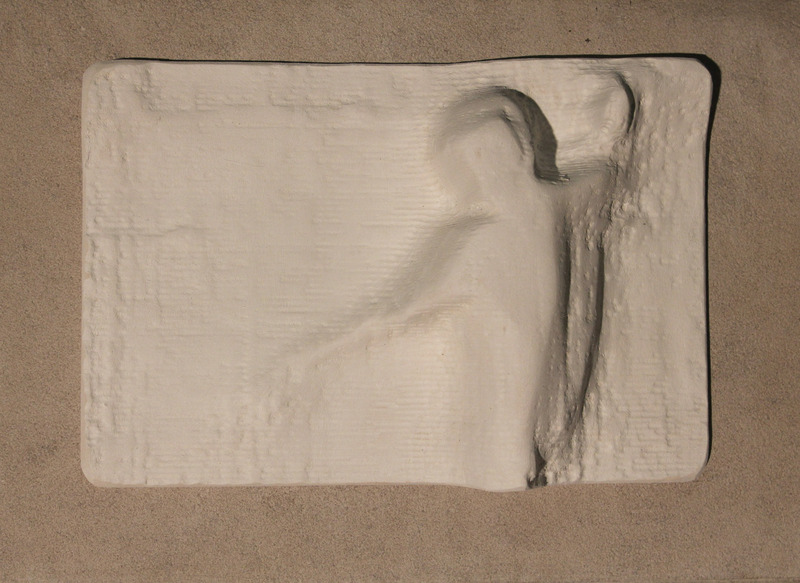 The process created a primitive kind of 3D imaging by treating the original photograph like a distance map and then translating that to 3D data. 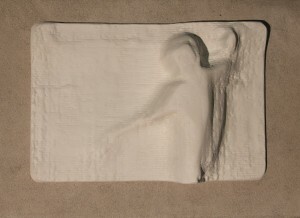 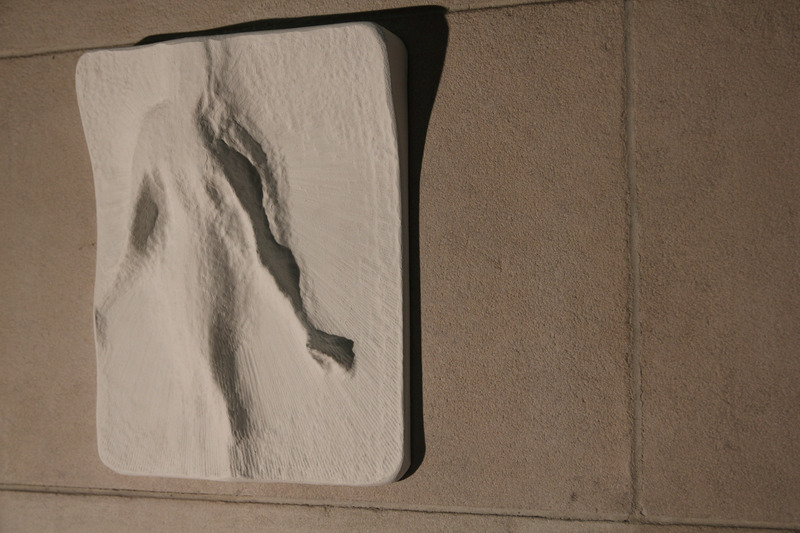 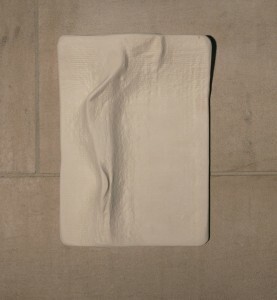 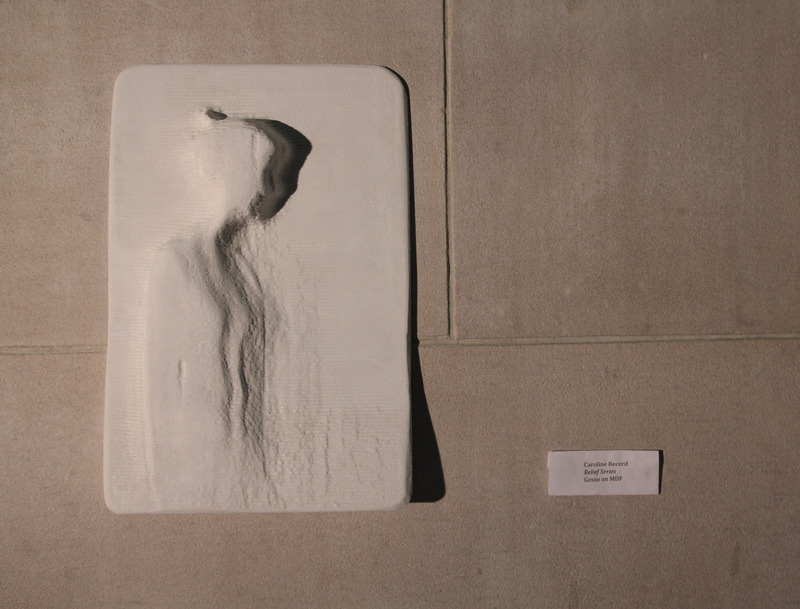 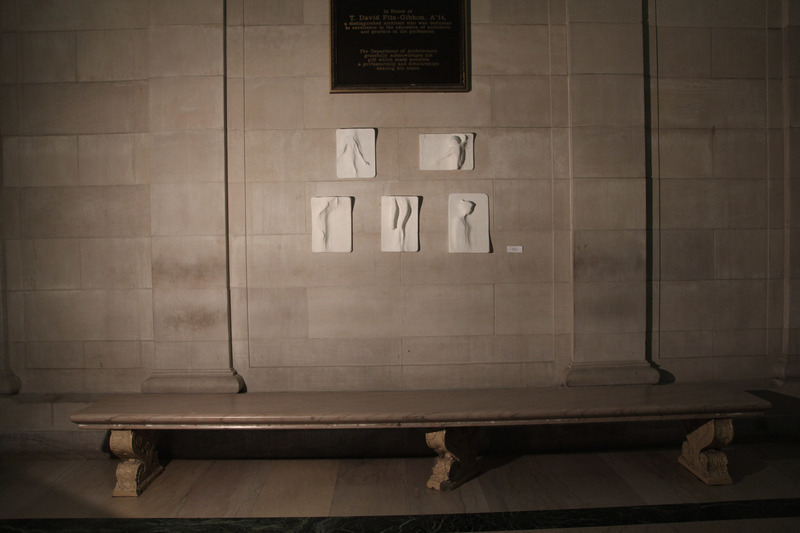 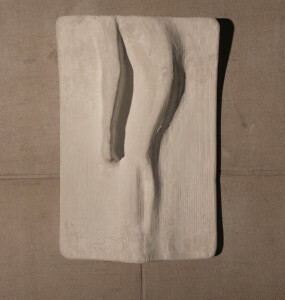 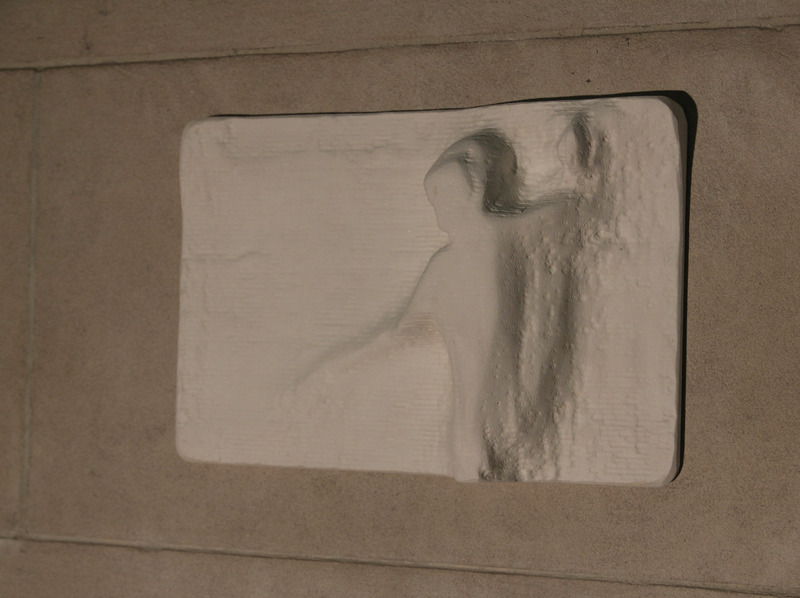 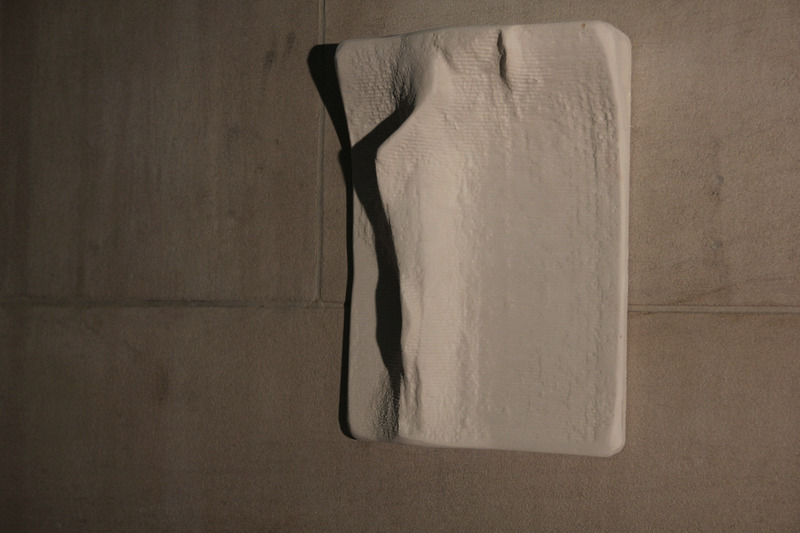 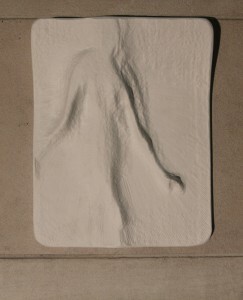 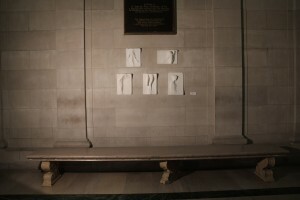 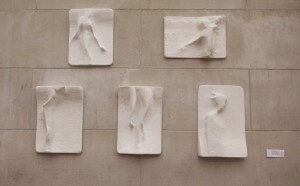 The resulting reliefs are a reflection on the computer’s desire to separate the figure from the surrounding noise.